Plant and raise beautiful gardens in this challenging Time Management game! 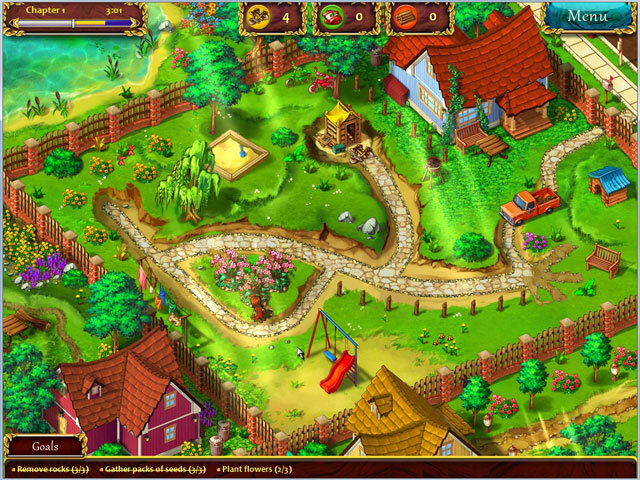 Save your grandparents from a nasty real estate tycoon in this wonderful gardening adventure. Jill was looking forward to visiting her grandparents but when she arrives at their home, she finds them about to lose the house to a greedy real estate tycoon. If Jill doesn't act soon, the bulldozers will move in on their garden paradise. Determined to help her grandparents, she sets off on an entrepreneurial endeavor that will soon turn their life around. Join Jill in her new company Gardens Inc. and save not just her grandparents, but the entire city from the greedy developer. Play 50 outstanding levels as you clear, plant, and raise beautiful gardens. Travel from the suburbs to the swamplands, deep into the forests and up into the mountains while collecting resources and trophies for a job well done. -Plant and raise beautiful gardens in this colorful Time Management challenge. 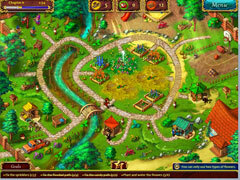 -Play 50 bountiful levels from the suburbs to the swamplands. 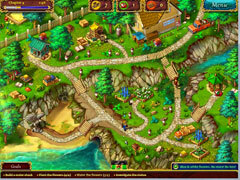 -Clear paths, collect resources, and build new gardens. -Use power-ups as you race to win trophies.